The Coast Guard says the cutter Eagle is 295 feet long, has 24,000 square feet of sail and 6 miles of rigging. BOSTON — A historic U.S. Coast Guard ship originally commissioned by the German Navy is visiting Portland, Maine. 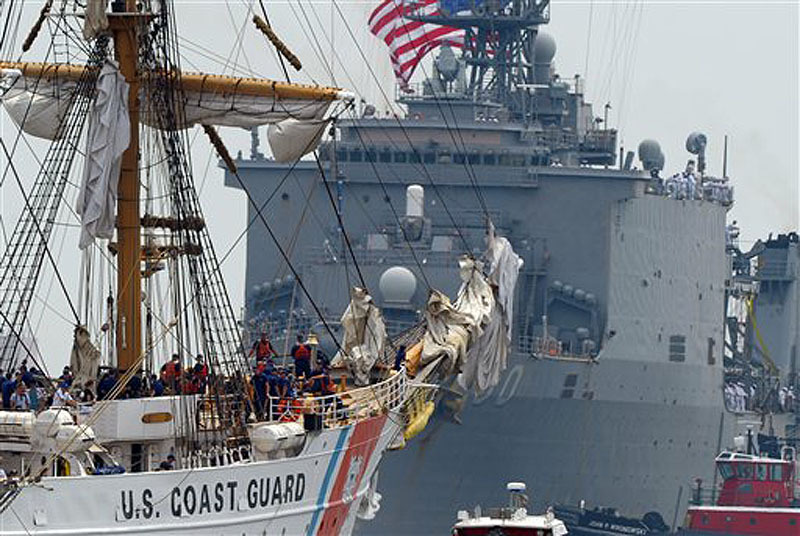 The Coast Guard says the cutter Eagle is scheduled to arrive in Portland on Friday. The Eagle will be moored at the State Pier as part of its 2012 cruise. It will be open for tours through Sunday. Commanding officer Capt. Raymond “Wes” Pulver says he looks forward to having the community on board to meet the crew, cadets and officers. The Eagle is 295 feet long. It has 24,000 square feet of sail and 6 miles of rigging. It’s the largest tall ship flying the Stars and Stripes. It was built in 1936 in Hamburg, Germany, and was taken by the U.S. after World War II. It has served as a floating classroom since 1946. Its home port is New London, Conn.